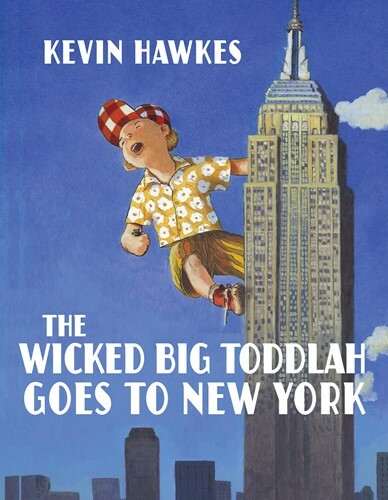 The world's largest toddler is back in a wickedly funny and outrageous sequel to The Wicked Big Toddlah. Toddie and his parents are just your average Maine family taking a trip to New York City. Sure, things are a little different for wicked big Toddie-he can pick up a fire truck and paddle over to the Statue of Liberty. But when Toddie accidentally gets separated from his parents and ends up lost, he acts just like any other baby would act-he's scared and he wants his Ma! Will Toddie be reunited with his parents? Kevin Hawkes once again proves his versatility as both a talented artist and a gifted storyteller in this hilarious sequel that is equally easily enjoyed on its own.